Circle of Life national organ donor commemorative garden is located in the beautifully sited seafront Quincentennial Park in Salthill overlooking Galway Bay and reflects the spirit of giving, the enduring legacy which defines the lives of organ donors. It is a special place of thanksgiving and commemoration, and through its mix of imagery, symbolism and sentiment, engenders feelings of positive transformation, healing and hope. 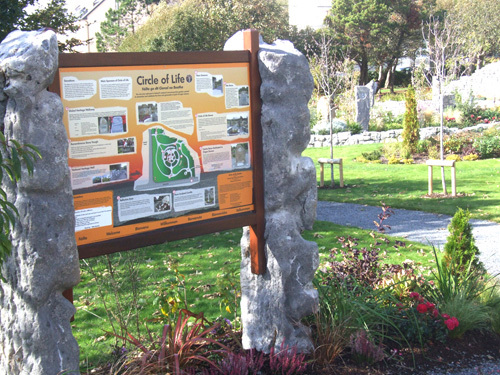 Circle of Life Garden was developed by Strange Boat Donor Foundation in partnership with Galway City Council and was formally opened on May 6th, 2014. 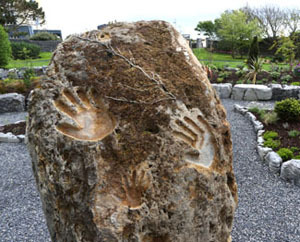 The title of the garden, "Circle of Life", derives from the five 2 metre tall stones surrounding the garden's centre, and each has a carving and inscription symbolising the connectivity and interdependence of man at the different stages of his journey through life. 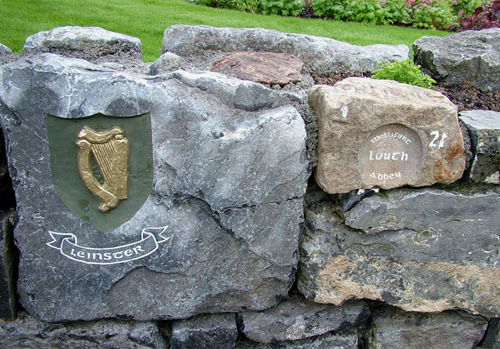 These, and the garden's many other stone features, sculpture and inscriptions, are designed to create an inclusive place of beauty, inspiration and welcome to all. The 5ft. 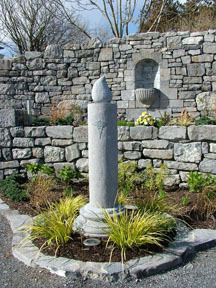 tall stone sculpted candle (below), symbolising the light of humanity shone through donation, is dedicated to all medical staff and personnel who make the worlds of donation and transplantation possible. 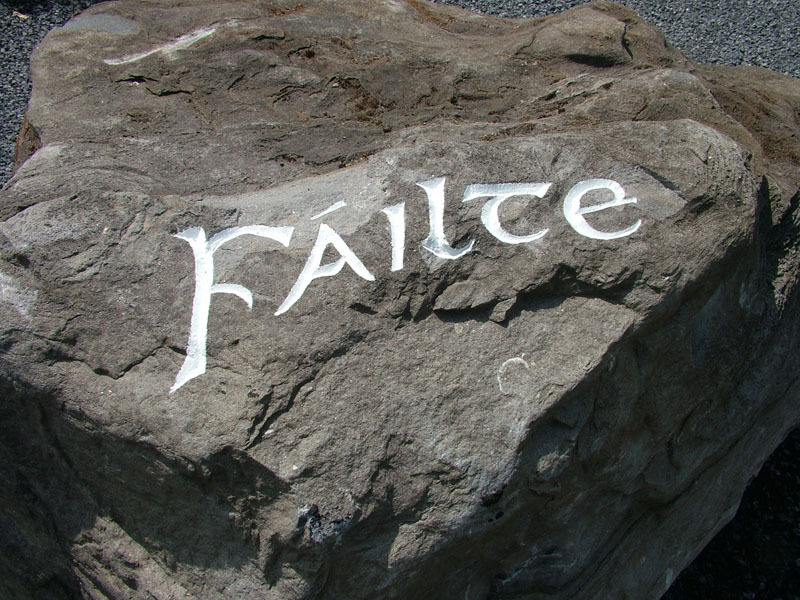 The centre stone (above), called the Stone of Unification, is dedicated to organ donors, and was sourced from the environs of Clonmacnoise which, for centuries, represented the spiritual centre of Ireland. 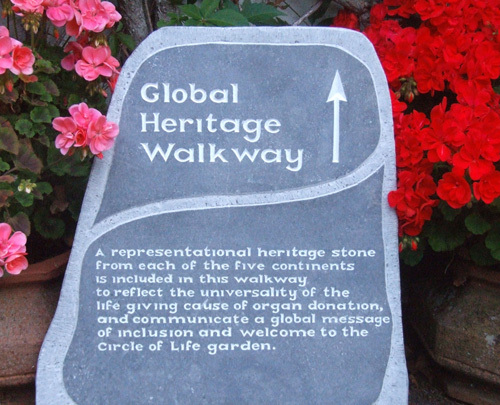 A heritage stone from each of the five continents is included in the garden's design to reflect the universality of the life giving cause of organ donation and communicate a global message of inclusion and welcome. 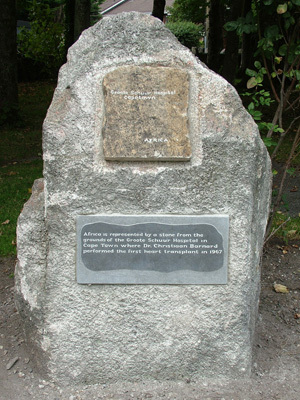 Each of the five stones was sourced from a site associated with a different aspect of the advancement of humanity and arranged on a walkway extending from the garden through the park. Being a totally voluntarily funded project, Circle of Life garden depends on the generosity of its sponsors and the goodwill and support of its many visitors. To maintain this national garden to the highest standard, 365 days of the year, all donations and contributions are used for its ongoing maintenance and upkeep. 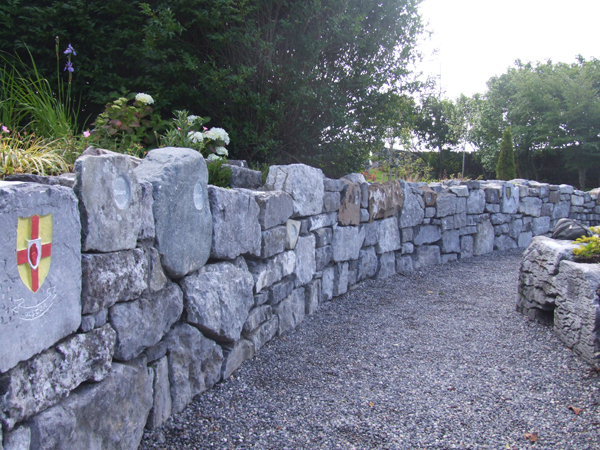 We particularly appreciate the involvement and considerable contribution of Dúchas na Gaillimhe - Galway Civic Trust for providing support to maintain the garden to a very high standard. Your donation to Circle of Life garden is also an indirect contribution towards the wonderful life giving cause of organ donation itself. Since the garden opened at the beginning of May, '14 - to end March, '19, €23,913 was collected in the donation boxes located at the Salthill Hotel entrance to the garden, and at the main entrance from the prom. We really appreciate and thank you for your support. or post a cheque to Strange Boat Donor Foundation, Bothúna, Spiddal, Co. Galway. Please do indicate the purpose of your donation before confirming it on PayPal. All donations will be personally acknowledged. Read More on the Circle of Life - Garden of Commemoration & Thanksgiving..